African American Men Business Wear research papers discuss current big trends, consumer characteristics, and an overview of the target market. Business and MBA courses often require students to write about business trends that affect job placement, business success and organizational culture in general. 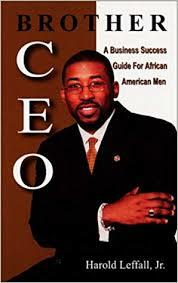 One such topic that a student can research is the topic of African American Men and their business wear. The paper should be an overview of what is currently going on in the U.S. specifically, although some of the information may certainly have international implications. These are areas that you must consider in order to get an overall idea of the world as it is in the U.S. and how it might affect the consumer. The paper should also be a short and concise statement of who the target market is. Based on demographics: Age, gender, ethnicity, income, education, family size, nationality, life stage, marital status, occupation, religion, living arrangements. Based on psychographics: activities, interests, values, work versus leisure usage, opinions, purchase and consumption behaviors, shopping location preferences, frequency of purchase, media used, price sensitivity, brand loyalty, benefits sought. Based on culture: personality, geographical characteristics, situational characteristics (time, where used), high visibility fashion innovators/leaders, and current fashion apparel of the target market. After reading this paper the reader should have a very thorough and complete overview of the target market and the current big trends affecting the market. For this paper you should include media scans (newspapers, tv, magazines, internet, etc. ), and ask/consult experts (probably through publications/websites) to develop this paper. Paper should have a thesis should use examples to support topic sentiences. Kralovopolska A.S. - Kralovopolska A.S. manufactures many products geared toward engineering products and have a number of competing companys that specialize in the petrochemical services industry. Prada Milano - Prada Milano attempts to engage a very broad market that includes both mature and younger buyers that are attracted to prestige brands in the luxury market. Nike Apparel - Nike Apparel research papers discuss the business strategy of Nike and six aspects of the company. Louis Vuitton - Louis Vuitton has been in business since 1854 and is now part of the conglomerate Louis Vuitton-Moet Hennessey, referred to as LVMH. Arkadius Weremczuk - Arkadius Weremczuk is a Polish-born fashion designer who came to London in 1994 to London is 1994 to study at the famous Central St. Martins and build a reputation in his field. Gianni Versace - Gianni Versace research papers look at this Italian designer's accomplishments. Coco Chanel - Coco Chanel turned the fashion world on its heal, breaking rules and creating new ones that left millions clamoring for her fashions and fragrances. Paper Masters writes custom research papers on African American Men Business Wear and discusses the target market of African American business man wear for men in-between the ages of 30 - 60.